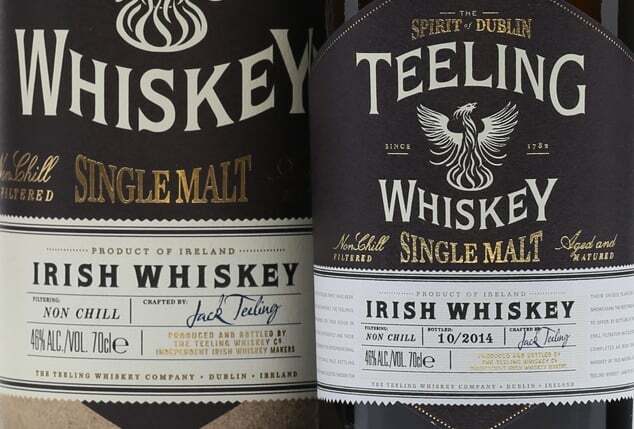 Here is an Irish whiskey that’s not been distilled from Cooley, Bushmills or Midleton. It has not been quietly sourced. The name on the bottle is the place at which it was distilled – it isn’t pretending to be something else, tricking consumers into thinking the place has been around for ages. Ladies and gentlemen, we have a bona fide new Irish whiskey. 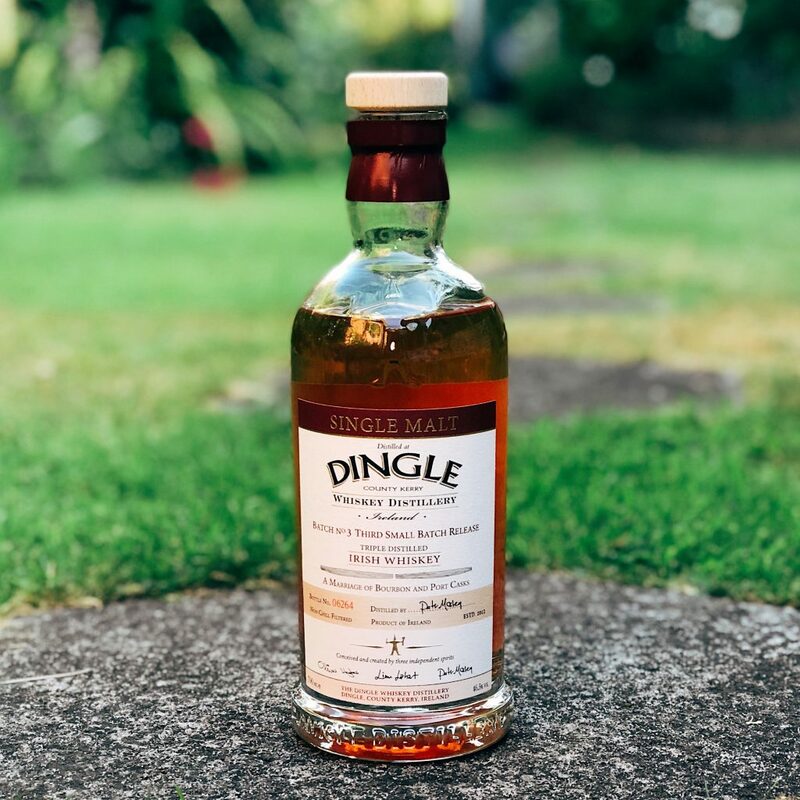 Dingle, then, is one of the first of the new wave of Irish distilleries. Now normally Phil, being our resident Irishman, would talk about stuff like this. Indeed, he’s already looked at Dingle’s first Pot Still release, along with our resident grumpy Scotsman, Jason. Neither of them was too impressed. There’s nothing particularly Irish about the mixed mash-bill Pot Still whiskey. The guys and gals on the other side of the Atlantic have been doing it long enough; there may be different recipes, of course, and different distillations. But the fundamentals are shared. Which is why it’s good to see that another Irish distillery has decided to make an Irish single malt too. My preferences naturally drift to single malt; I prefer the flavour profile. Largely speaking, for me, I’ve felt the Irish pot still whiskies present flavours that are somewhat restrained in comparison to single malt. Which is not to say that they’re unpleasant, far from it; but they’re a few cents short of a Euro when placed side-by-side with a good single malt, generally speaking. Nothing factual about this, just a personal reflection. 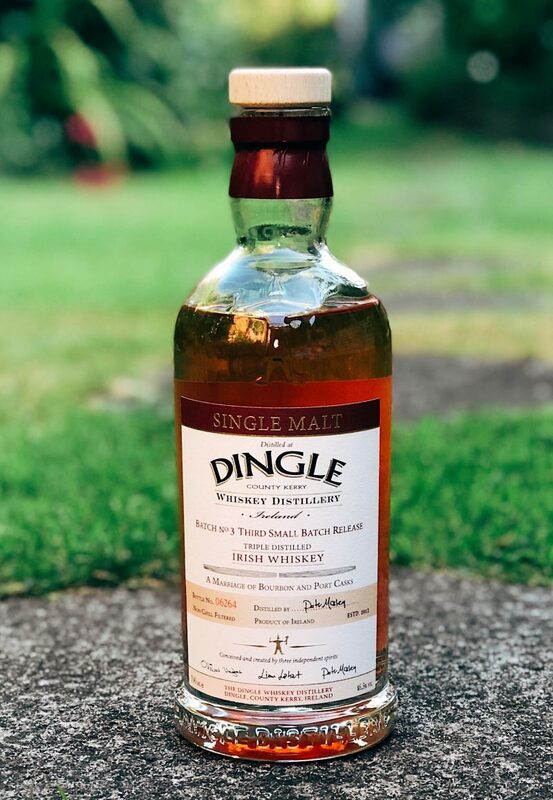 So well done Dingle – not only have they made their own whisky, but they’re making single malt. Lots to be celebrated here. Yet they don’t make a lot of whiskey on the whole – two casks a day, which really isn’t a lot. 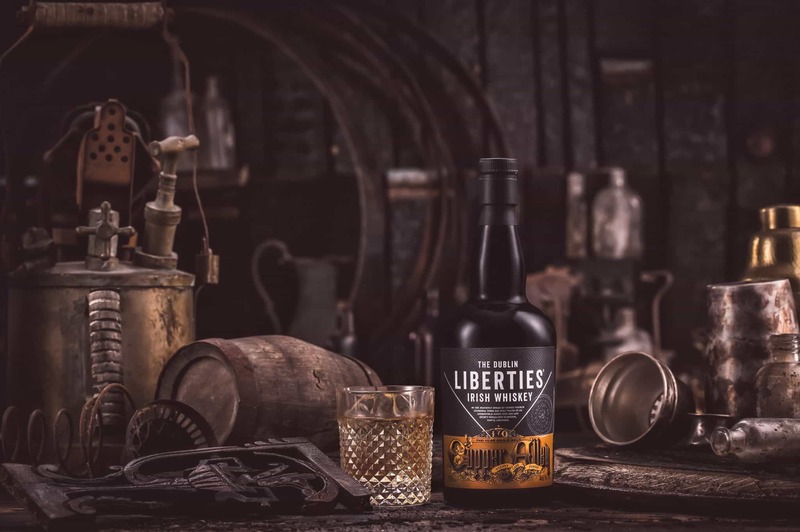 Since their founding in 2012, their first single malt came to market back in 2016 so this one would at the very most contain whiskies that are 6 years old, likely a shade younger. This one is a vatting of Bourbon- and Port-matured single malts and retails at €68. 13,000 bottles were released, so they’re certainly aiming to make a bigger splash with Batch No. 3. Colour: pale gold with a hint of peach (the Port cask doing its thing). On the nose: its youth shows, though not in a bad way; a maltiness, fruity, but a little raw; hay barns, green tea. Sweet: not vanilla, but very sugary, like strawberry jam. Golden syrup. In the mouth: velvety mouthfeel, the kind that ex-port single malts can often produce, I find; grassy, straw-like notes (again, it’s young). Brioche. A redcurrant tartness. Some cinnamon and black pepper, blackcurrants too. Assam tea. With this I’m reminded a little of the young Port-matured Glen Morays from Scotland; but it’s young, and this release is really an indicator of where the spirit is going. I think, with time, Dingle will produce some very good single malts (and it’s worth adding that a good friend of mine said that the first single malt release was indeed much better than this). But the most important thing to stress here is that this is indeed Dingle’s own whiskey. They haven’t sourced it, passing another company’s whisky off as their own produce; it’s theirs and it’s developing nicely. That’s a rarity in Ireland, and it’s to be commended. They get an extra bonus point for that. In short, it’s not there yet. But it’s on the way. Note: full disclosure, this bottle was kindly sent to Malty Towers.